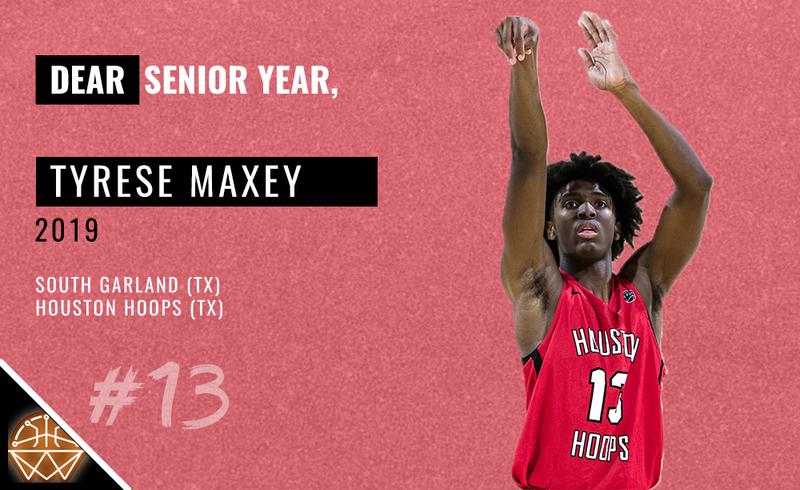 Kentucky pledge Tyrese Maxey is about to begin his senior campaign, and unlike many other elite recruits, he chose to stay home for his final high school go-round. The 6-foot-3 combo guard returns for South Garland, who will tote a supremely-talented rotation as they look to win a State Title. Prep Circuit's Pat Lawless caught up with Maxey, hitting on a variety of topics including the decision to stay home, his relationship with the Kentucky fanbase and his goals for his senior season. I’m happy that I get to say that I will be graduating from South Garland High School this season. I felt like the competition was good on the prep side, but one thing I do know is that Texas basketball is very competitive. I felt like I was getting the competition I needed here, I was going to develop and I get to keep working out with the guys I work out with now. I just want to keep growing my game for next year. I just really wanted to stay and have fun this last year, because after this, it’s all business. Staying my fourth year had a lot to do with me wanting to be with my friends for one last year. I know it’s going to be tough especially after this year to stay in touch with all of these hometown friends. You can only be a high school senior one time and do things like prom and all of the fun things you do in high school. After this year, it becomes very real so I’m just enjoying all of this and preparing for my future. It’s comforting knowing where I’m going to school during my senior year and knowing that the recruiting process is over. I don’t have to worry about anything other than getting better. I’m at home working on my game and perfecting my craft, so being committed takes a lot of stress from this year. I’ve been practicing with my team and trying to make a state run. Senior Year means finishing your legacy to me. I feel like me and my friends started a legacy since we got (to South Garland). Receiving all of the love I get from Kentucky’s fan base is great. It really motivates me to be the best I can possibly be and I haven’t even gotten down there yet. On the Nike EYBL circuit I had a lot of Kentucky people dressed in their gear at a lot of my games. I’d take pictures with them after the game and just talk to them. It’s just great feeling that love and I feel like it’s going to be a great experience over at Kentucky. Now I’m trying to build closer relationships with Kentucky commits Kahlil Whitney and Dontaie Allen. I talk to Kahlil at least once a week. We just have been telling each other to keep working, grinding and make sure to talk to all of the other guys Kentucky is recruiting. We’ve been telling each other to have fun this last year and let’s get ready to go and win a national championship when we get (to Kentucky). Senior Year means finishing your legacy to me. I feel like me and my friends started a legacy since we got here. South Garland wasn’t much of a basketball school in Texas and I feel like through our years here we have changed the culture. That’s our legacy, we changed the culture here by making the state championship last year and now we are going to try and win one this year. I have five goals on the mirror of my wall that I look at every day. The goals are: sign my letter of intent to Kentucky, get invited to the McDonald’s All-American Game, get invited to the Jordan Brand Classic, get invited to the Nike Hoops Summit and the last one is to win a state championship. I have it on the mirror when I brush my teeth because there are some mornings you are dragging and don’t feel like getting up or going to work out. I just look at those goals and they give me energy to go on with the day. Kijani Wright, a class of 2022 forward from the Windward School (CA)/@Compton_Magic (CA), has picked up an offer from Vanderbilt.